Today, we’ll look at two companies – T-Mobile MVNO Lycamobile, and Sprint MVNO Chit Chat Mobile. Lycamobile has plans heavy with international features, but it also has plans that can appeal to the high or low data user. Chit Chat Mobile, however, only offers one plan with data— additional is purchased as an add on. Prepaid, no-contract deals are all about saving money, having control of your account and the ability to change as needed. But it can be a pain to keep track of your usage with prepaid plans. So, in an effort to help customers take charge of their accounts without all of the hassle, Chit Chat Mobile debuted a new app for Android phones. The app is, unfortunately, not available for iPhone users at the present, but should be added soon. With smartphone saturation in the United States peaking at above 100 percent, it seems like the merger bug has firmly embedded itself in the wireless industry. Sprint MVNO Chit Chat Mobile is no exception. CEO John Hennessy told me this morning that Chit Chat Holdings is in talks with not two, but three different companies in regards to a possible merger/acquisition. MVNOs are generally not the most stable kind of businesses, and this past summer saw its share of businesses closing and selling or being acquired by another company. Added to the list of companies not doing so well, both Solavei and Chit Chat have filed for Chapter 11 Bankruptcy this summer. While not exactly the kiss of death, Chapter 11 is basically a company acknowledging that they cannot pay all of their bills. It’s a last-ditch attempt to reorganize the business and get back on their feet. Currently, neither Solavei nor Chit Chat have stated intentions to close and both carriers are still signing up new customers as of today. 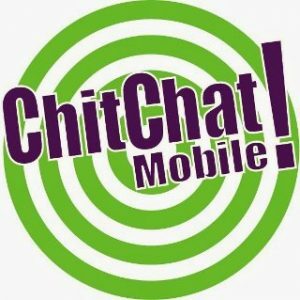 Chit Chat Mobile offers a variety of pay-as-you-go options for the mobile phone market. The choices can sometimes be confusing, but with a little knowledge the consumer can make a great choice for a plan that can save money.